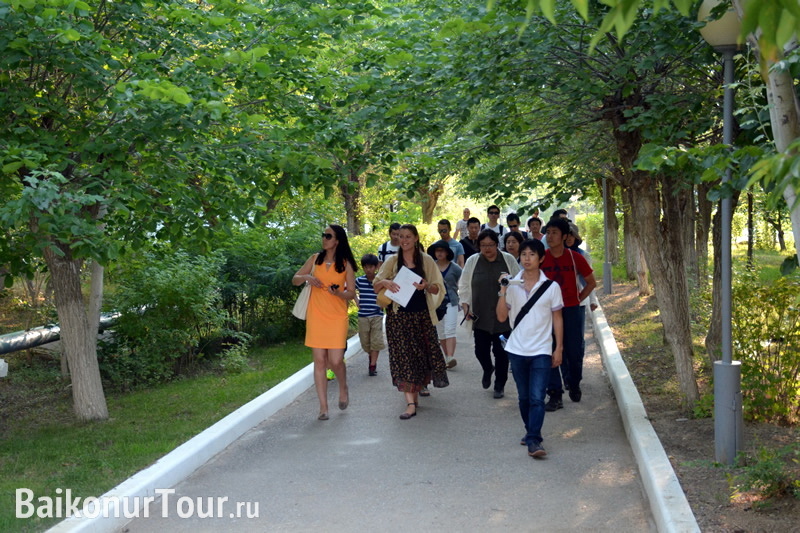 We have a busy schedule for each day of our tour so you won’t have time to get bored! 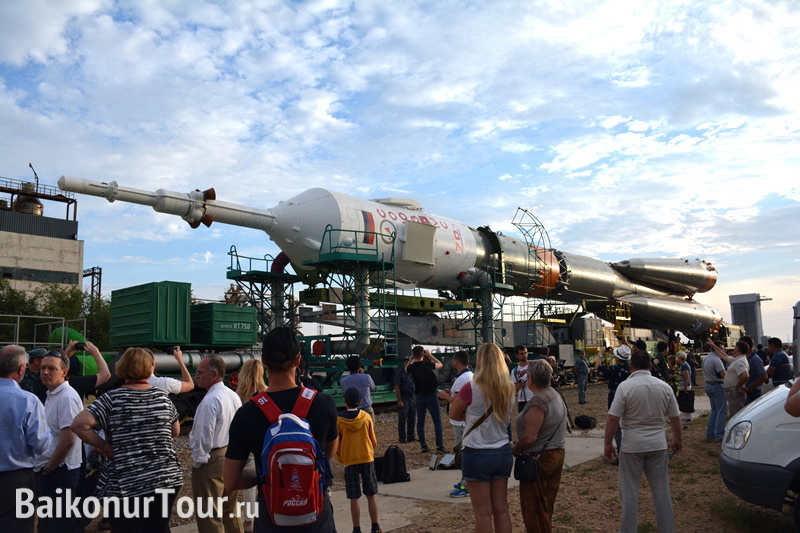 For the 5 days spent in Baikonur you will see all most interesting places and witness a historical event. 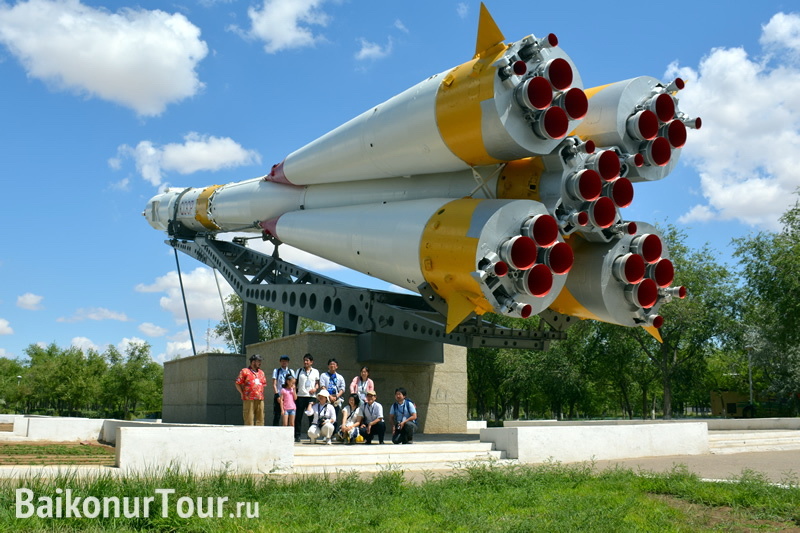 Our qualified guides will tell you about the history of space exploration, you will visit legendary launch pads and memorial complexes. 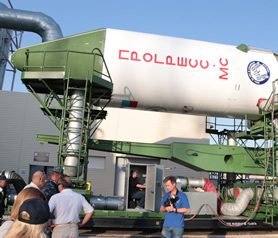 Besides, you will watch the rocket being rolled out from the integration building just a few meters from you, observe its installation onto the launchpad and attend crew’s ready-to-go report. Early in the morning we leave for the launchsite to watch the gates of the integration building opening and the loco rolling out the rocket from the building to transport it to the launchpad. 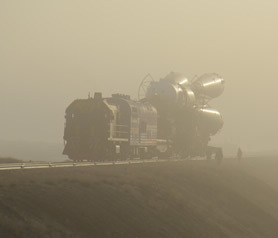 The rocket is followed by technical specialists and security service officers along the way; it moves very slowly at about 5 km/hour so we’d have a good chance to make perfect shots. 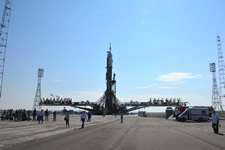 Then we also go to the pad №1 called Gagarin launchpad since from this very pad Yuri Gagarin’s legendary Vostok spacecraft was launched on April 12, 1961. The rocket will be installed onto the pad by a special erector. You will watch the process of installation from a very close distance and you can make cool pics! 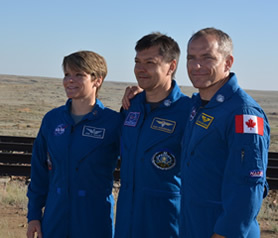 Besides, on the way you will see an amazingly beautiful steppe sunrise, meet some camels and feel the incredible atmosphere of space launch preparation since these events are attended by all most important responsible space industry technicians. And many other interesting things! We will make stops near most important monuments so that you could make memorable photos and ask questions. If any mentions about school make you tremble or bored this tour will change your mind! The school has three faculties: Physics and Mathematics, Chemistry and Biology and Aerospace Science. Generally the students start attending the school from the 5th grade. Besides, after graduating this school the students can enter best technical universities of Russia without exams. 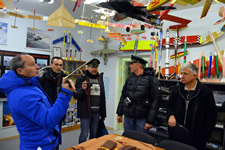 What is more important from a touristic point of view is that the school has its own aerospace museum where unique exhibits are gathered. To conclude the tour you will have a chance to launch a rocket model under the guidance of qualified teacher of rocket modeling. Within the framework of our guided tour around the launch site, we will visit many facilities and launchpads. Our guide will tell you lots of interesting details about each object we’ll visit. 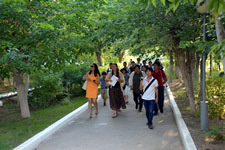 Depending on the tour schedule, we will implement this program in one or two days for participants’ convenience. 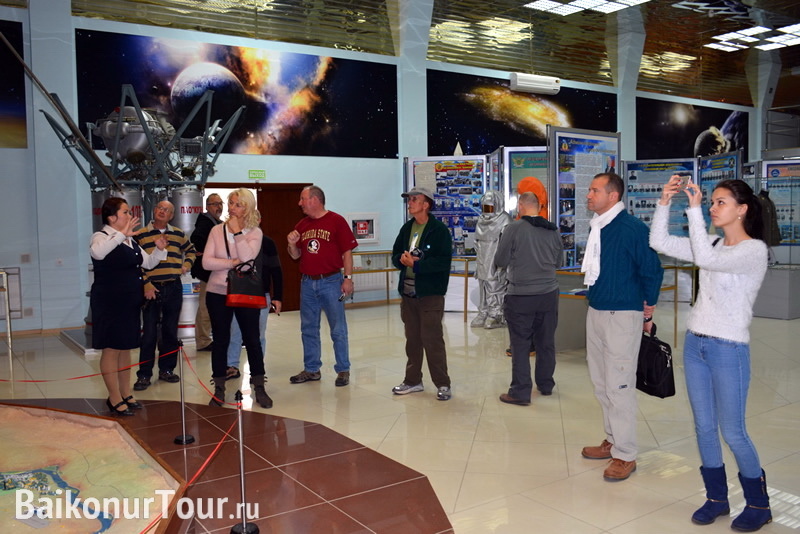 We go on with our space exploration by visiting museum complex at the pad #2. 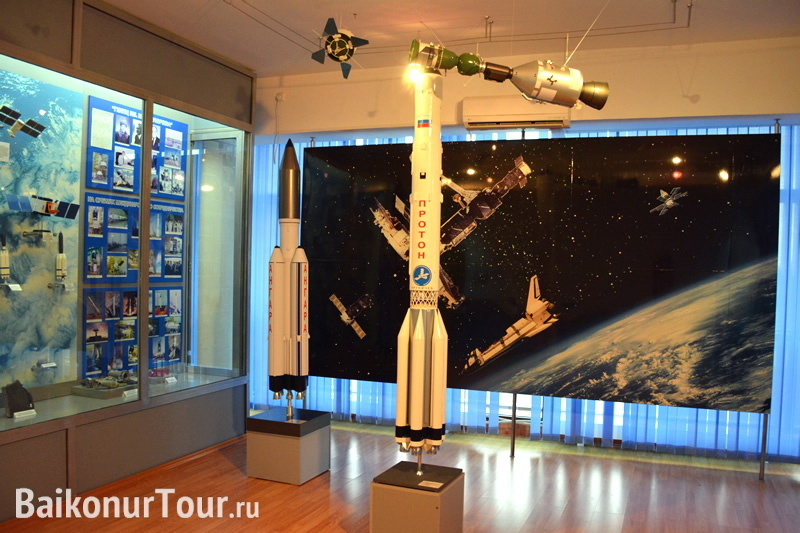 The complex consists of the museum itself, Buran shuttle full-size mockup and Yuri Gagarin and Sergei Korolyov memorial houses. One cannot leave a city without souvenirs! And we will go to a very special place to look for memorable things. 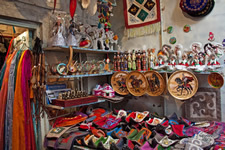 At the local market of Baikonur you may find various space-related stuff from simplest magnets, key pendants and calendars to detailed rocket models, traditional Kazakh souvenirs such as camel wool blankets, handmade boxes, sweets and hand-painted Christmas tree decorations. Unlike museum of Pad #2, this one is located in the city. 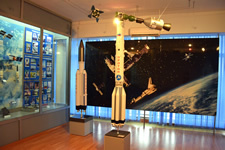 In this museum the guide will focus on the history of launchsite construction, tell you about various rockets and rocket designers and modern state of affairs in Russian space exploration. 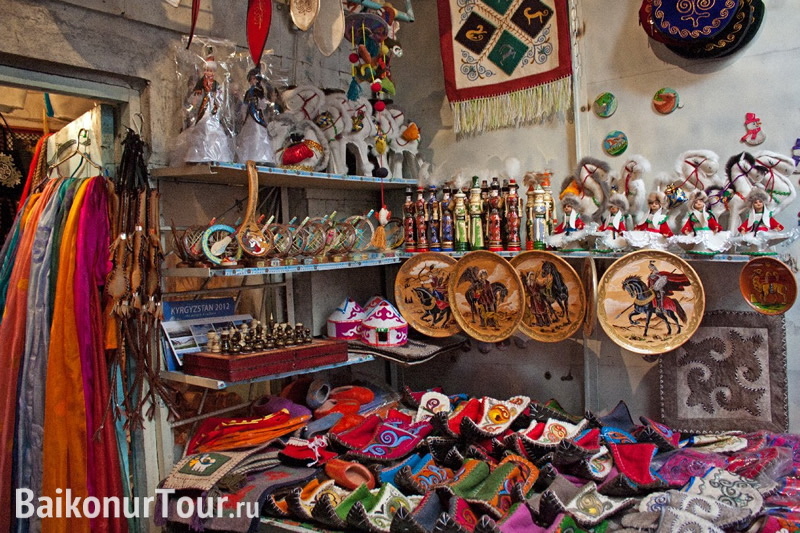 Besides, there is a national Kazakh hall in the museum decorated like a national yurt where you will learn about Kazakh traditions. 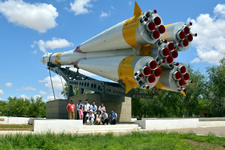 Traditionally cosmonauts arrive in Baikonur two weeks before the launch. For all this time they live in Cosmonaut hotel (pad 17) under quarantine. 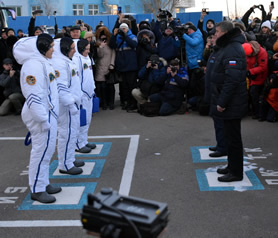 That means that neither cosmonauts are allowed to go to the city nor the strangers are allowed to the pad area. 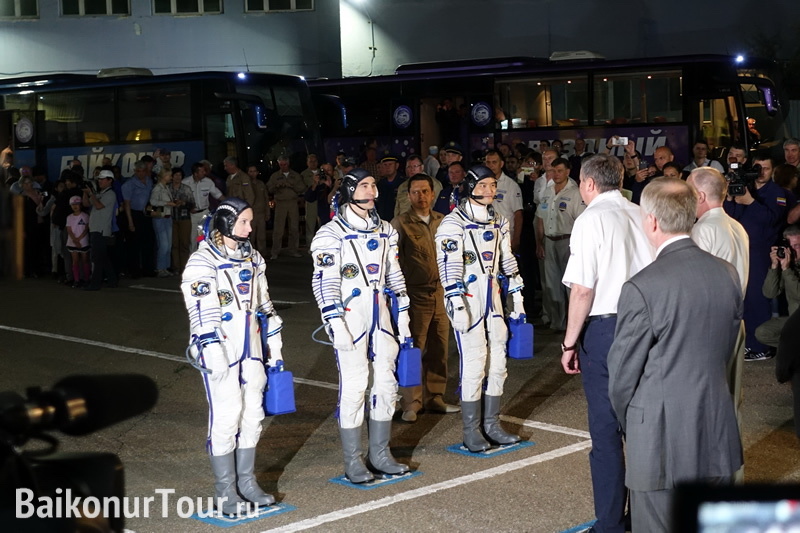 The crews leave the hotel 6 hours before the launch and go to Pad 254 where the prime crew is to take on the spacesuits and hold a closed press-conference attended by closest family members and authorities. 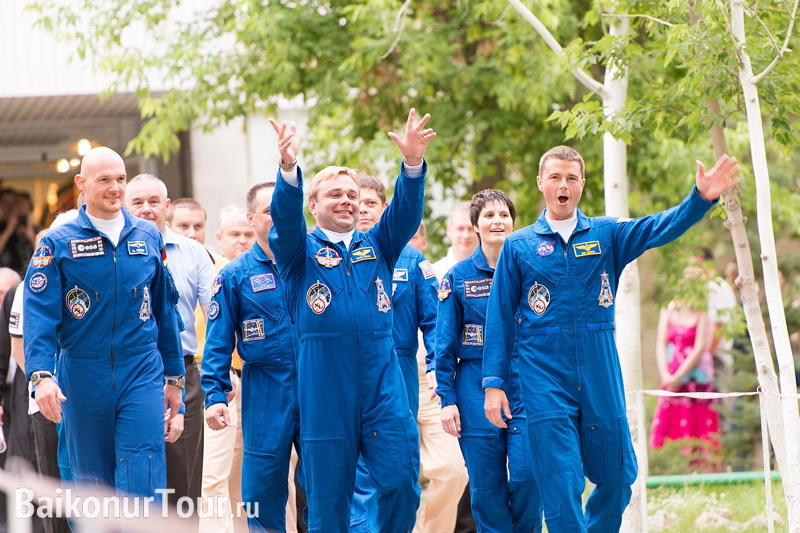 As soon as the crews leave, we will take our opportunity to walk along the legendary Cosmonauts Alley. According to the tradition established by Yuri Gagarin, every cosmonaut and astronaut going to space aboard Russian Soyuz spacecraft for the first time plants a tree there before the flight. This is a very remarkable place of special atmosphere. You can look for the trees planted by your favorite space heroes. 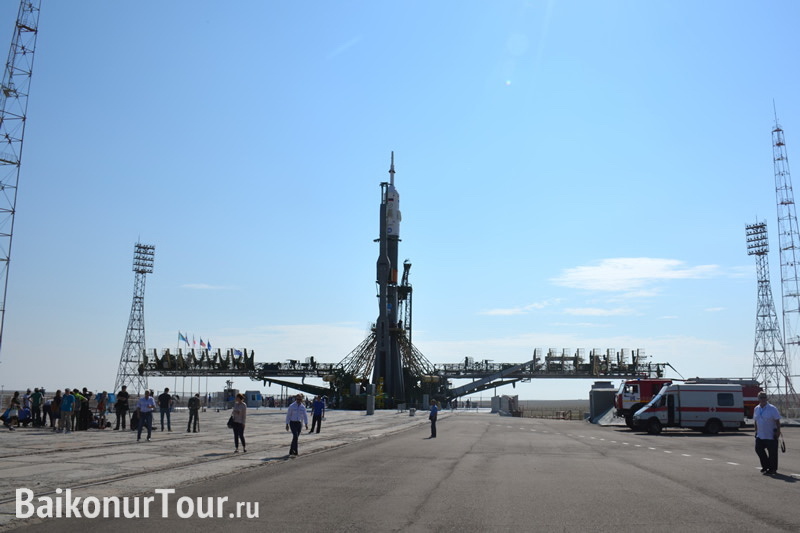 We are going to follow the cosmonauts’ steps for the whole launch day (or night depending on the launch time). 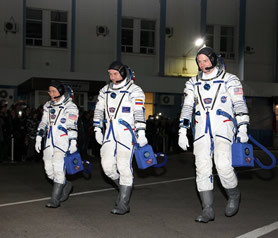 Thus we are also going to Pad 254 where the crew members already wearing Sokol rescue spacesuit will report to the State Commission about the readiness for the launch. 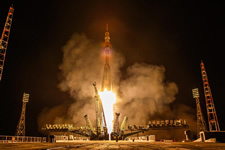 After that our cosmonauts go to the launchpad. That’s the final lap after that – the space. Finally it’s time for the most spectacular and exciting event. We arrive at the viewing site situated at the closest safe distance from the launchpad. You will hear the countdown and then hear the thruster roaring and feel the ground trembling under your feet. 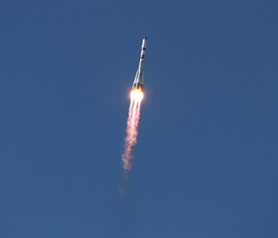 In 528 seconds Soyuz enters the orbit and only then the specialists congratulate each other on successful launch. This is a preliminary tour program for night launch. 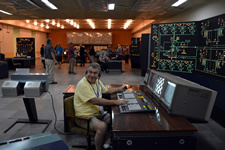 Time and order of visiting Baikonur facilities can be changed due to specificity and technical features of the complex. 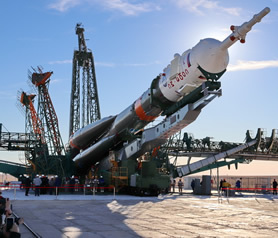 Besides, the duration of the program depends on the date and time of the rocket launch, so each program is always adjusted for the particular launch (sometimes we have 6-days program instead of 5-days one). Contact our specialists to learn more. We may either arrange for you reduced variants of the program (e.g. 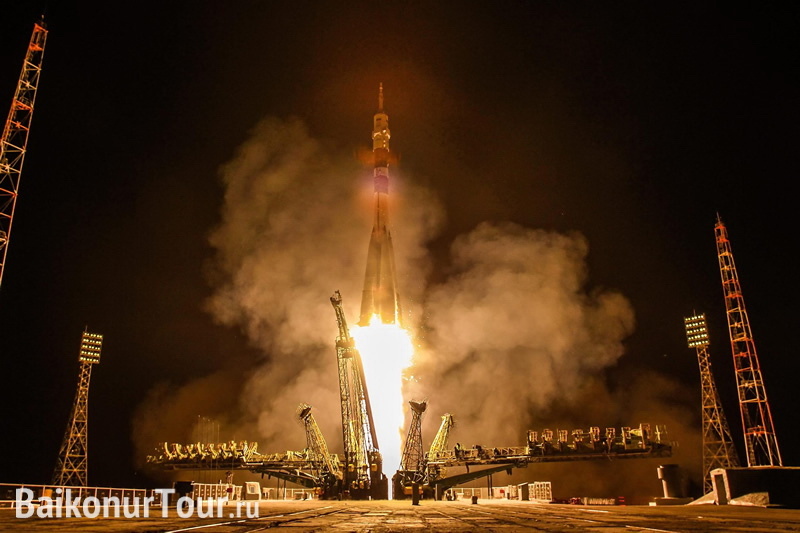 if you are going to get to Baikonur yourself and do not need our flights or you would like to reduce the quantity of days). Too long to wait for the next launch? Try a real Zero Gravity onboard Ilyushin-76 flying laboratory of the Cosmonaut Training Center! 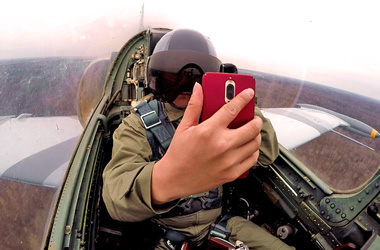 Flights on training jets L-29 and L-39 is the best choice for addicts of adrenaline, high speeds and thrill! 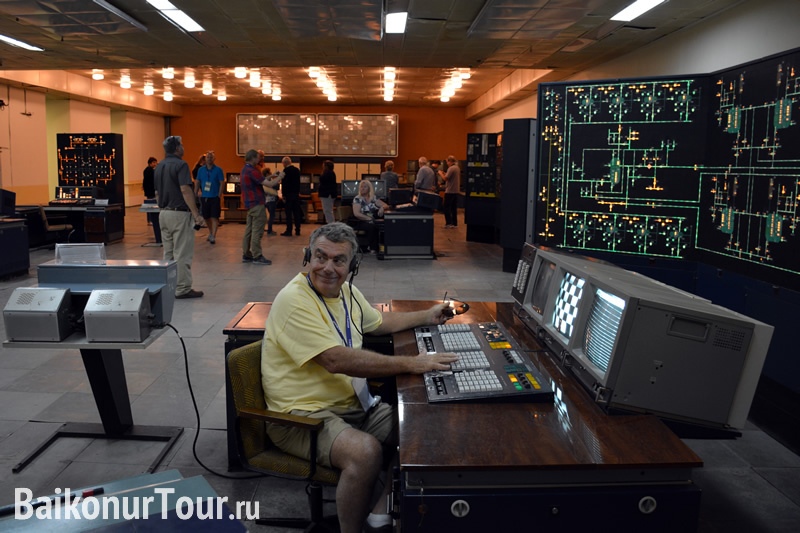 Various options of tours and activities in the legendary Star City. 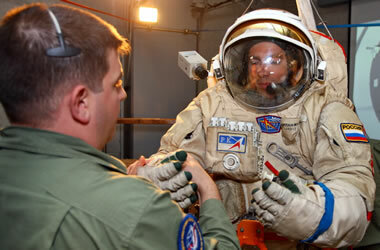 Train like a real astronaut! With us the space becomes closer!